Micron has made a number of announcements in recent weeks regarding its GDDR memory for graphics cards, game consoles and networking applications. The company is reporting that they've been able to hit Gbps data rates in the lab on their latest generation of GDDR5X devices, while also reiterating their long-term plans for GDDR6 and GDDR5, with GDDR6 memory due in a couple of quarters from now, while GDDR5 will be here to stay for a long time to come. 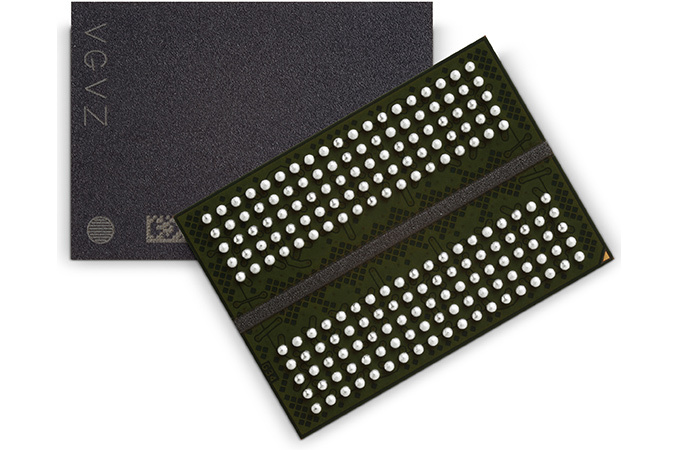 When Micron announced its GDDR5X memory in late 2015, it set two targets for data transfer rates: the initial target of 10 – 12 Gbps and the longer-term target of 16 Gbps. Initially, the company only supplied GDDR5X ICs validated at 10 and 11 GT/s, but this year the company also started to bin the chips for 12 Gbps. The latter are used on NVIDIA’s Titan Xp graphics card. What is noteworthy is that engineers from Micron's development center in Munich (also known as Graphics DRAM Design Center) recently managed to run the company’s mass-produced GDDR5X chips at 16 Gbps in the lab.